If you have applied, we will reach out to you through Academic Works concerning the results. 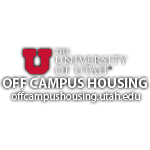 To apply for Union Scholarships as well as any other at the University of Utah, there is a new application process which will allow you to fill out a general application and then notify you if there are any additional scholarships you should apply for. 2. Click on Sign In and log in via your CIS account. 4. Once completing and submitting the general application through Academic Works, click on the scholarship links below to view specific Union Scholarships. The Union Student Leader Scholarship seeks to identify and recognize student leaders whose involvement has, or will contribute to the overall mission of the Union. This includes students who are or will be associated with the different leadership opportunities within the Union. These opportunities can include but are not limited to involvement with an office or event(s) in the Union. The Refugees Connecting Our Community Union Scholarship seeks to assist refugee students in accomplishing their academic goals. The purpose is to identify and recognize students whose community engagement and service have, or will contribute to the overall mission of the Union. This includes students who are or will be associated with the diﬀerent community service activities within the Union. These opportunities can include but are not limited to involvement with an oﬃce or event(s) in the Union. The Union Scholarship Fund for Student Veteran Leadership provides two (2) scholarships. One $5,000 and one 2,500 scholarship to assist a student veteran in accomplishing their academic goals. The purpose is to identify and recognize a student veteran whose involvement has or will contribute to the overall mission of the Veterans Support Center & the Union. This includes students who are, or will be associated with different leadership opportunities within the Veterans Support Center or Union. These opportunities can include but are not limited to, involvement with an office or event(s) in the Veterans Support Center, Union, or veteran-focused organization, activity, or initiative. The Union Scholarship Fund for Student Veteran Persistence provides three (3) scholarships of $2,500 to assist student veterans in accomplishing their academic goals. The purpose is to identify and recognize student veterans who do not receive full VA educational benefits or who are actively serving in the Reserves or National Guard, and who continue to pursue their first bachelor’s degree and demonstrate academic excellence. The Union Scholarship Fund for Student Veteran Volunteerism provides two (2) scholarships of $2,000 to assist student veterans in accomplishing their academic goals. The purpose is to identify and recognize student veterans whose involvement has or will contribute to the overall mission of the VSC and the Union. This volunteerism can include but is not limited to, involvement with an office or event in the VSC, Union, campus, or community organization, activity, or initiative. The Union Scholarship for Military/Veteran Spouse or Dependent Volunteerism provides one (1) scholarship of $1,000 to assist a spouse or dependent in accomplishing their academic goals. The purpose is to identify and recognize a spouse or dependent whose involvement has or will contribute to the overall mission of the VSC and the Union. This volunteerism can include, but is not limited to, involvement with an office or event in the VSC, Union, campus, or community organization, activity, or initiative. The Dream Center at the University of Utah Office of Engagement, in partnership with the Union, is pleased to announce three (3) scholarships of $5,000 each to assist undergraduate and graduate Dreamers (undocumented students with or without DACA) in accomplishing their academic goals. The purpose of this scholarship is to identify and recognize incoming and current University of Utah Dreamers whose community engagement and service have, or will contribute to the overall mission of the Dream Center (dream.utah.edu). These opportunities can include but are not limited to involvement with Dream Center events or the community at large. Maria Isabel Reyes was a Graduate Assistant in the Union Administration Office at the A. Ray Olpin University Union. A first-generation Latina student, Maria worked tirelessly to create an inclusive campus community. Maria tragically lost her life to cancer in August 2017; however, during her short time at the University of Utah, her impact on the campus community and the University Union was immense. Maria felt passionate about identifying best practices for supporting all underrepresented students. The Maria Isabel Reyes Memorial Scholarship provides one (1) scholarship of $2,500 to assist a transfer student in accomplishing their academic goals. The purpose is to identify and recognize a student whose commitment to creating an inclusive campus community has, or will, contribute to the overall mission of the Union. This includes students who are or will be associated with promoting diversity and inclusion within the Union and/or campus community. These opportunities can include but are not limited to involvement with an oﬃce or event(s) in the Union. The Union Scholarship Fund provides one (1) scholarship of $2,500 to assist an American Indian student in accomplishing their academic goals. The purpose is to identify and recognize students whose commitment to creating an inclusive campus community, has or will contribute to the overall mission of the Union. This includes students who are or will be associated with promoting diversity and inclusion within the Union and/or campus community. These opportunities can include but are not limited to involvement with an oﬃce or event(s) in the Union. The Graduate School & Union Scholarship Fund provides one (1) scholarship of $2,000 to assist a graduate student in accomplishing their academic goals. The purpose of this scholarship is to identify and recognize a graduate student whose commitment to creating an inclusive campus community has, or will, contribute to the culture, values, and overall mission of the Union. This includes graduate students who are or will be associated with promoting diversity and inclusion within the Union and/or campus community. These opportunities can include but are not limited to involvement with an oﬃce or event(s) in the Union. The Union recognizes transfer students within our campus community for their dedication and commitment in building community and promoting leadership involvement. The Crimson Transfer Honors Society & Union Scholarship Fund provides one (1) scholarship of $2,500 to assist a transfer student in accomplishing their academic goals. The purpose of this scholarship is to identify and recognize a transfer student whose commitment is building community and leadership within the Union and/or campus community. These opportunities can include but not limited to involvement with CTHS. The purpose of the Student Affairs Diversity Council & Union Student Leader Scholarship is to identify and recognize students whose commitment to creating an inclusive campus community, has or will contribute to the overall mission of the Union and the Student Affairs Diversity Council. We will provide one (1) scholarship of $3,000 to assist students in accomplishing their academic goals. This includes students who are or will be associated with promoting diversity and inclusion within the Union and/or campus community. These opportunities can include but are not limited to involvement with an oﬃce in the Division of Student Affairs, event(s) sponsored by the Union, or the broader campus community. The Union Scholarship Fund in partnership with the Women’s Resource Center, LDS Charities, and the Office of President Ruth V. Watkins provides six (6) scholarships of $5,000 each to assist refugee students in accomplishing their academic goals. The purpose is to identify and recognize students whose community engagement and service have, or will, contribute to the mission of the Union and the refugee community. The New American Scholarship honors the journeys of refugees and how they resettled. Through this scholarship, we recognize the ways refugees add to the rich fabric of the University of Utah community. The West High Alumni Association, in partnership with The A. Ray Olpin University Union is pleased to announce two (2) scholarships of $5,000 each to assist undergraduate and graduate students at the University of Utah who are also graduates of West High School in Salt Lake City, Utah. The Union Scholarship Fund provides many scholarships to assist student leaders in accomplishing their academic goals. One of these scholarships is specifically for Dining Services student employees. The purpose is to identify and recognize student leaders whose involvement has, or will contribute to the overall mission of Dining Services and the University Union. This includes students who are or will be associated with the different leadership opportunities within Dining Services or the University Union. These opportunities can include but are not limited to involvement with an office or event(s) in the Union.